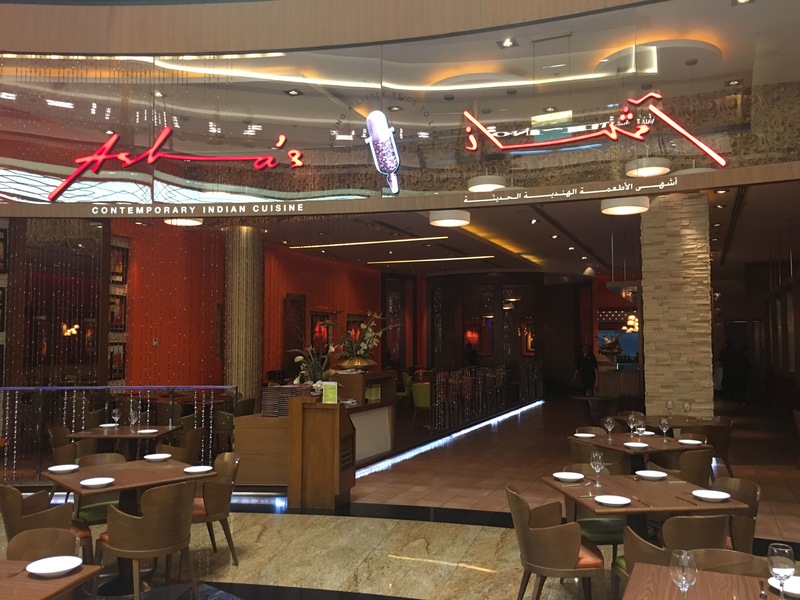 In the past, I had walked past Asha’s many a times and have always thought about trying the food but somehow I hadn’t been able to do so. I finally managed to visit the restaurant and I am glad I did. 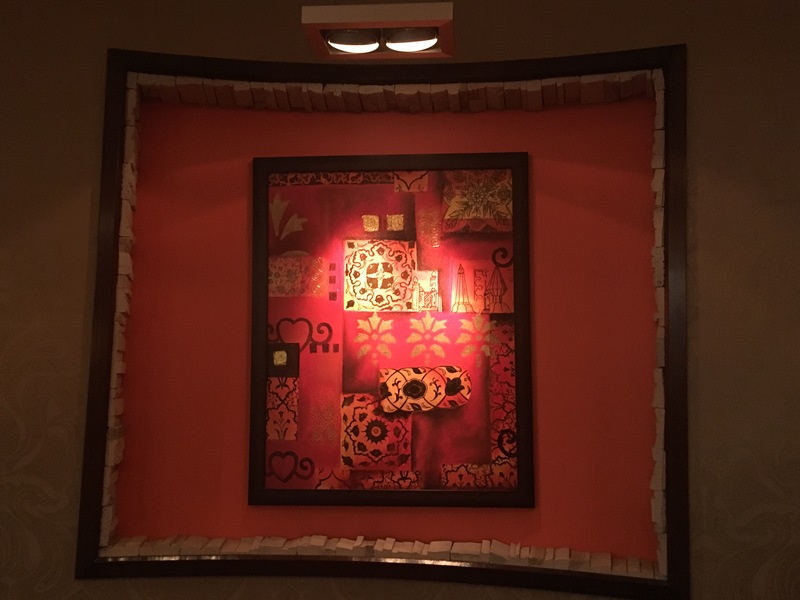 Spacious, comfortable, abstract art and semi dark (more on the dark side) lighting is what creates the ambiance at the restaurant. Even though it is located inside Mall of the Emirates, it does have a lot of seating. 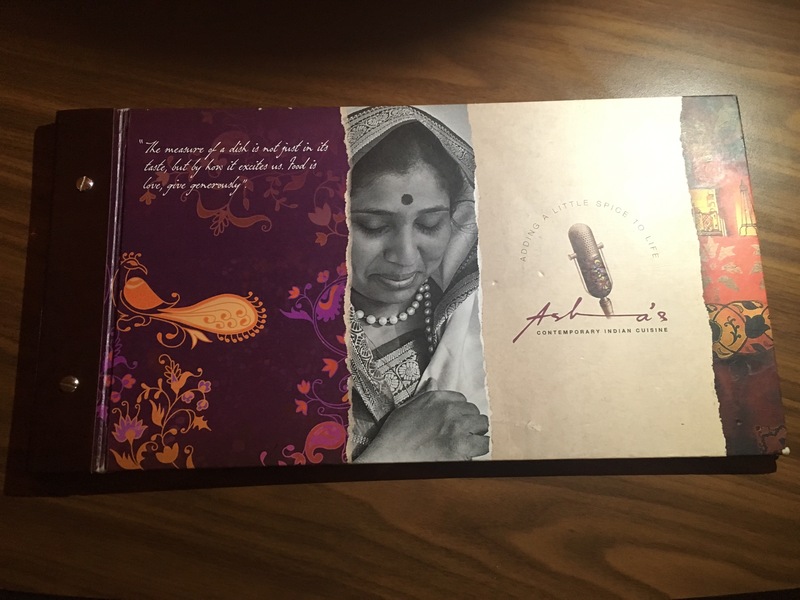 For those who don’t know, Asha’s belongs to the famous Indian singer Asha Bhosle. Asha Bhosle is one of the most respected singers from the country and her voice incomparable. Back to the restaurant and food, we sat down at our table and were handed the menus. The menu is extensive when it comes to the main course and kebabs however the list of appetisers is a bit on the smaller side. 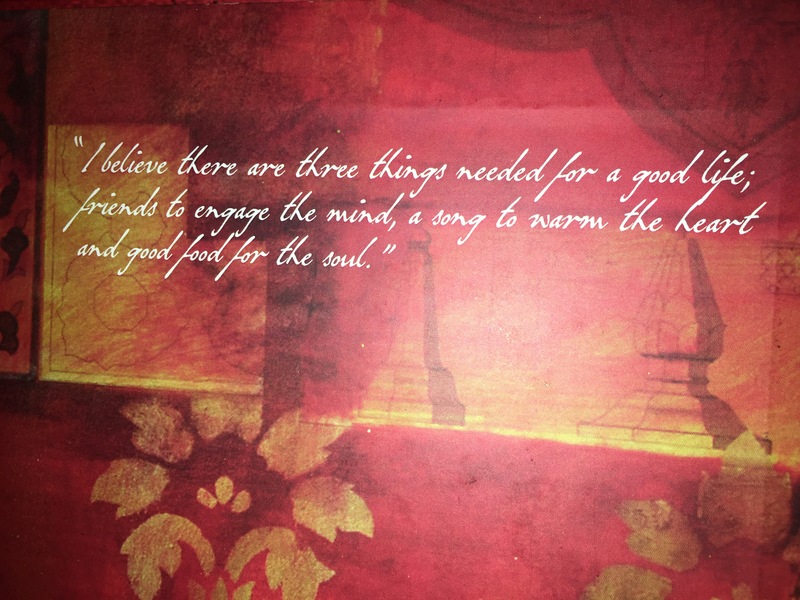 I don’t talk about menus at length but there were some really good quotes in this menu and I would like to share a photo of one of them below. 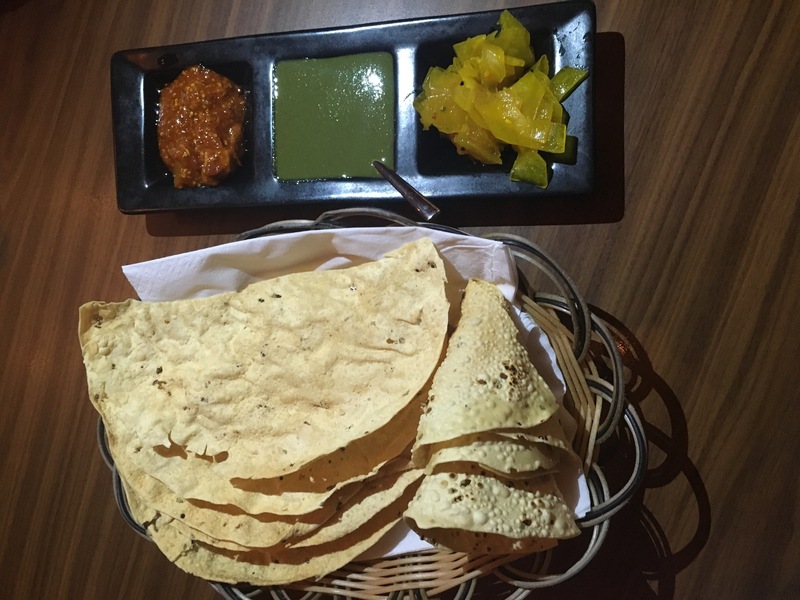 We were served with Papads or popadams to start with. The round ones were a bit undercooked while the flat ones were good. However, I loved the condiments served with it. Many restaurants fail when it comes to condiments (mainly the chutneys), making it too thin or too spicy but Asha’s aced it. We were a big group which consisted of vegetarians and the non-vegetarians, so we ordered separate dishes. My review is solely based on the non-veg food I tried. 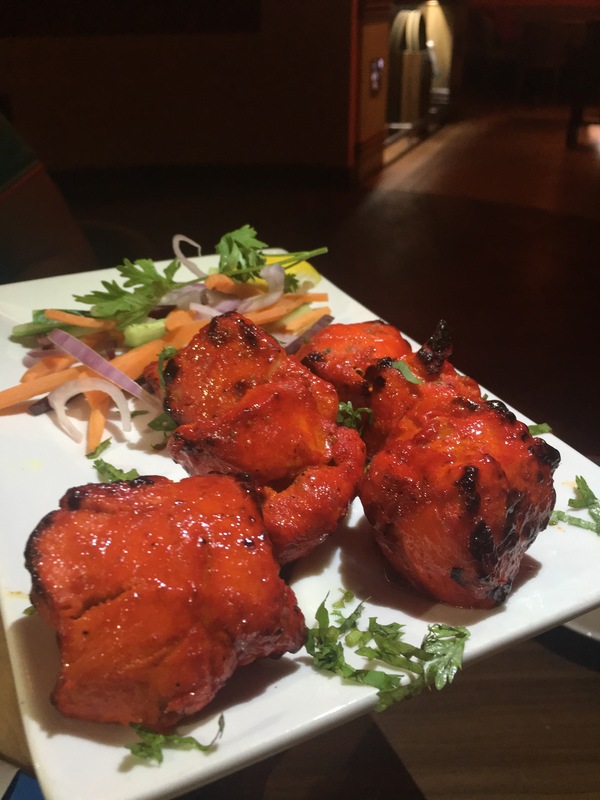 We started with the Kebabs and ordered for a Tandoori Chicken Tikka. The pieces of boneless chicken served to us were so Tender and delicious. Each plate serves 6 pieces and is good enough to share. We did not order too much given it was a bit late at night and opted for 2 dishes in the main course. One dish we ordered was Prawn Masala and the second was Murg Biryani Awadh. 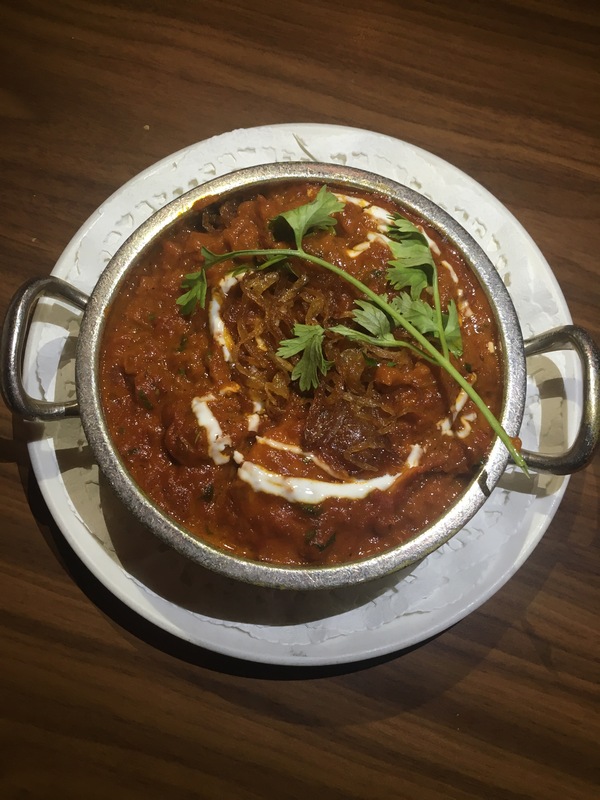 The Prawn Masala is basically Prawns cooked with red chilis in a spicy Onion and Tomato gravy. Since I can’t eat too much spice, we asked for a milder version of the dish. The Prawns tasted really good but a milder version of the dish meant that it had a bit of spice but also a sweetness to it due to the Tomatoes. 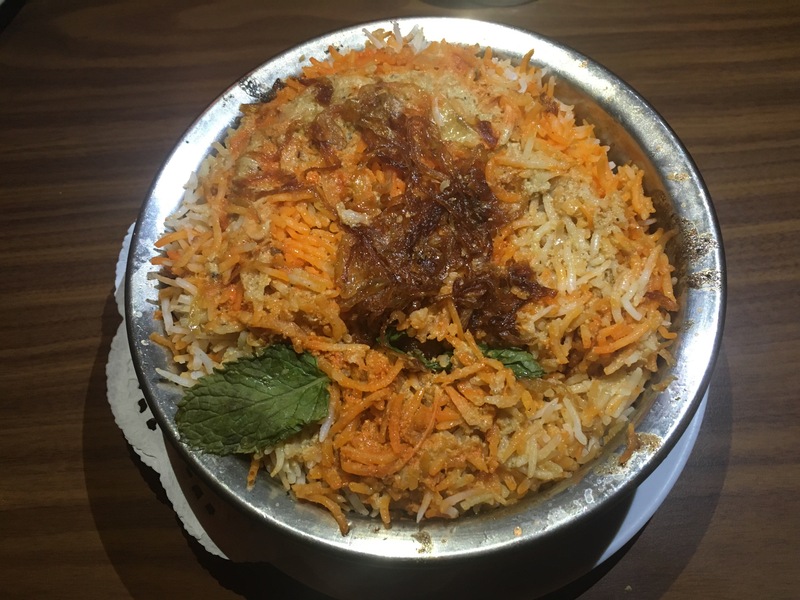 The Murg Biryani Awadh is basically a boneless Chicken Biryani cooked in an Awadhi style (Lucknow style). The Biryani consists of rice (of course), cardamom and saffron. A small bowl of raita (which is made ourof yoghurt and some spices) is served along with it. The Biryani was really good and I mean it. The rice was cooked well, the chicken pieces were succulent and the balance of flavours was on spot. One of the better Biryanis I have had in a while. On the whole, the experience and food was pretty good and I would surely visit again to try a few dishes. 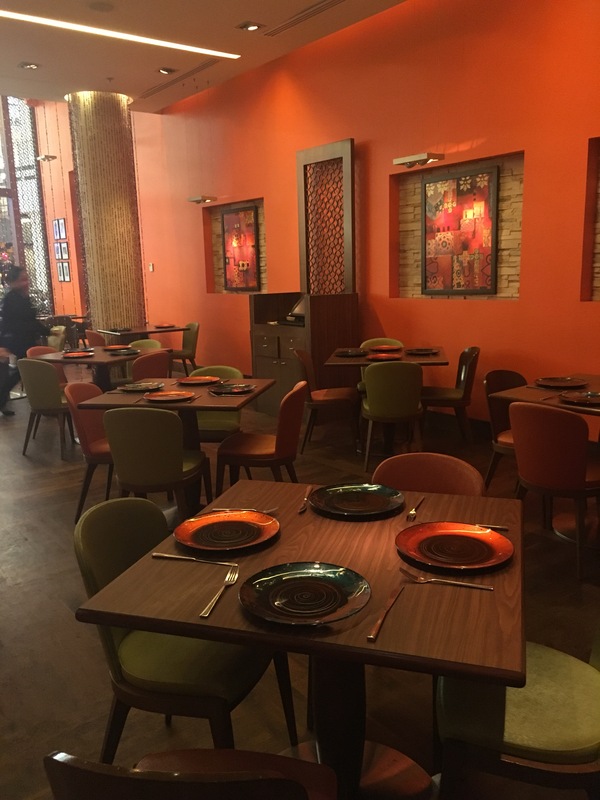 The food is a bit on the expensive side but if you have Entertainer vouchers and a big group, the cost per person reduces substantially.